Two big changes are coming to U.S. military commissaries worldwide as a result of the 2017 National Defense Authorization Act (NDAA). They affect all active, retired and separated military personnel and their families who shop at commissaries. These changes should help make commissaries more self-sufficient and less reliant on taxpayer funding. 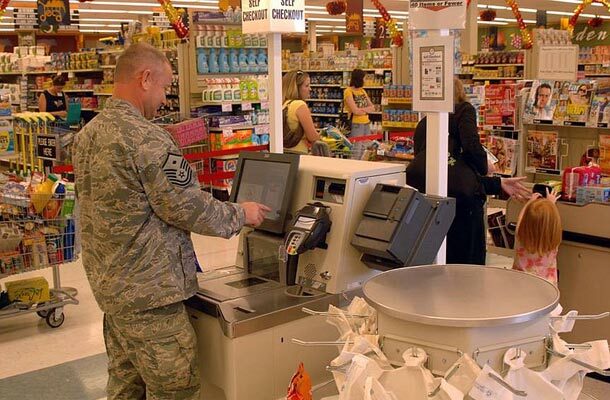 Currently, the Defense Commissary Agency (DeCA) receives $1.3 billion annually from taxpayers to help cover overhead. The first change is the introduction of variable pricing. Instead of commissary prices being the cost DeCA pays for goods plus 5%, prices will now be based on multiple factors including the cost of obtaining the item and local market prices. The new pricing model is currently being evaluated in a 10-location pilot program before launching worldwide. Prices reflect a percent of savings off the price the same products sell for in commercial grocery stores by region. Pricing will no longer be uniform in all commissaries. Instead, they will vary by region and country. However, all commissary customers should see overall savings no matter where they live. According to information released by DeCA in January 2017, proposed savings will range from 17.6% in the Mountain region to 44.2% abroad. The second change is the introduction of DeCA’s new private label brands. Freedom’s Choice is the new commissary brand name for food items and HomeBase for nonfood including paper and household products. According to Commissaries.com, many of the private label products will be produced on the same manufacturing lines as national brands. They will meet the same specifications as those national brands. Look for approximately 400 new private label items on commissary shelves in May.